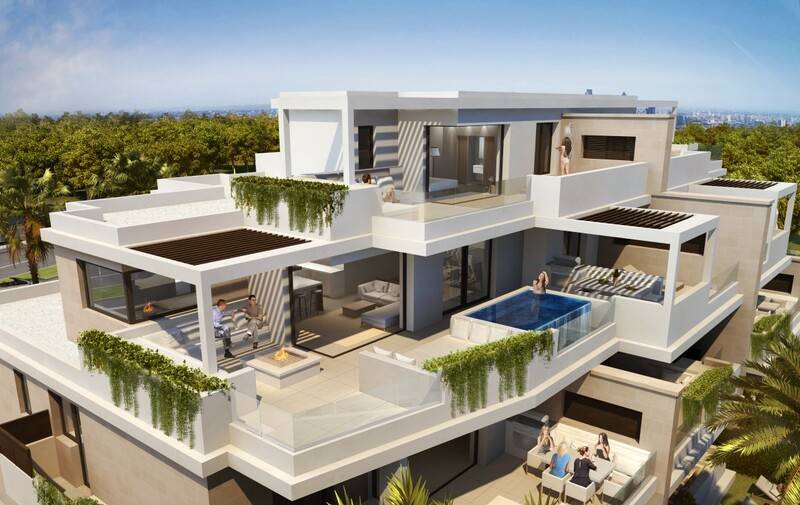 This new magnificent modern beachfront development in the New Golden Mile in Estepona is poised to become the most exclusive coastal development in the area. 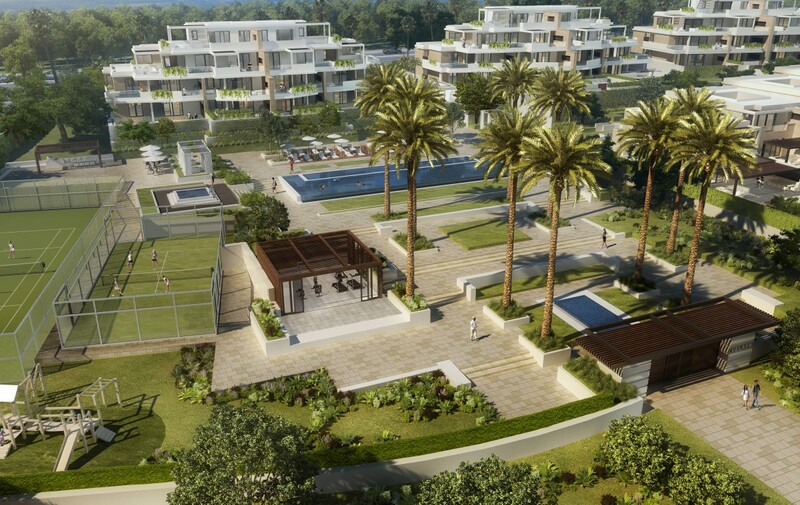 With it’s own beach entry gate, you are just steps away from the stunning Mediterranean sea and the longest walking promenade on the Costa Del Sol. 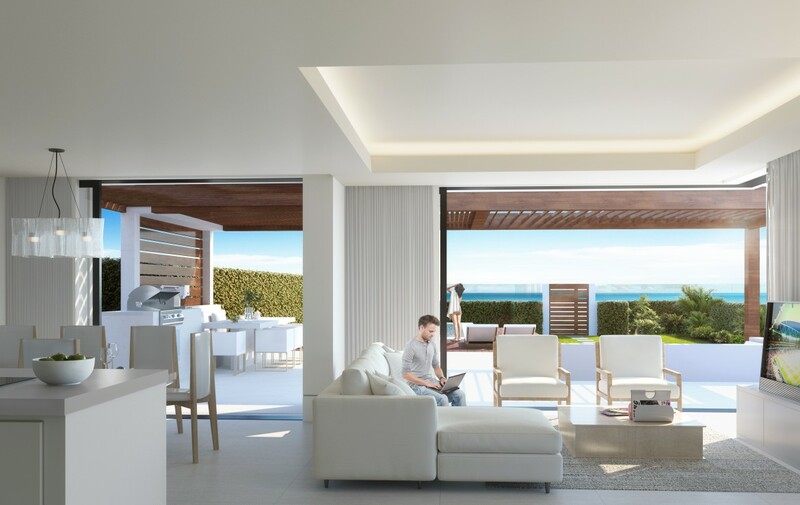 The development boasts 24 spectacular apartments of 2 and 3 bedrooms, each with their own private sun deck terraces where you can enjoy the incredible views of the Atlas mountains in Morocco and Gibraltar. 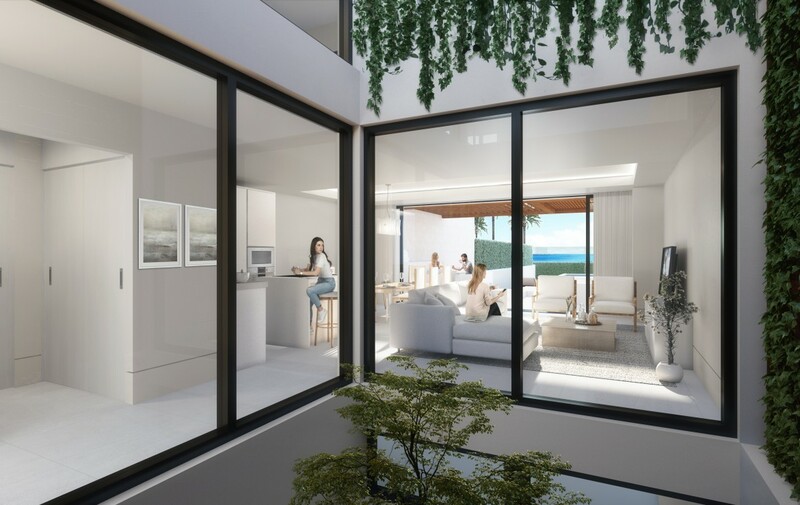 In addition, the 12 ground ﬂoor apartments beneﬁt from large private gardens and a covered terrace ideal for evening dining. 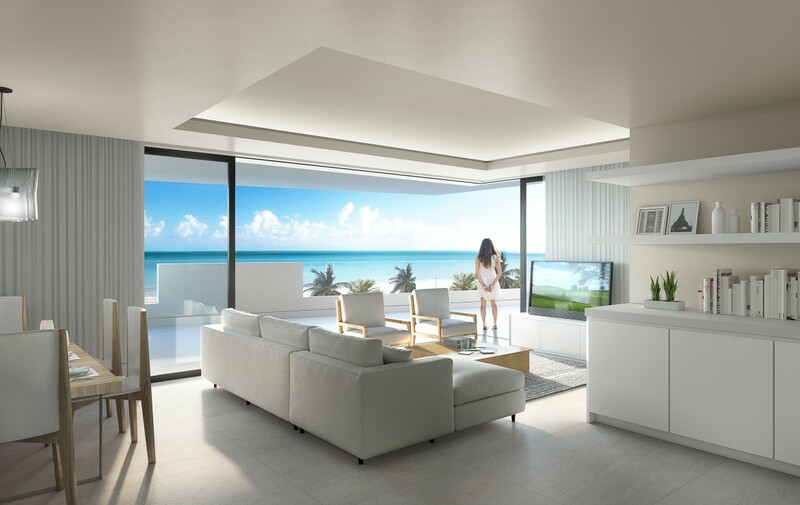 Each apartment is spacious and light with floor to ceiling windows brightening every room. 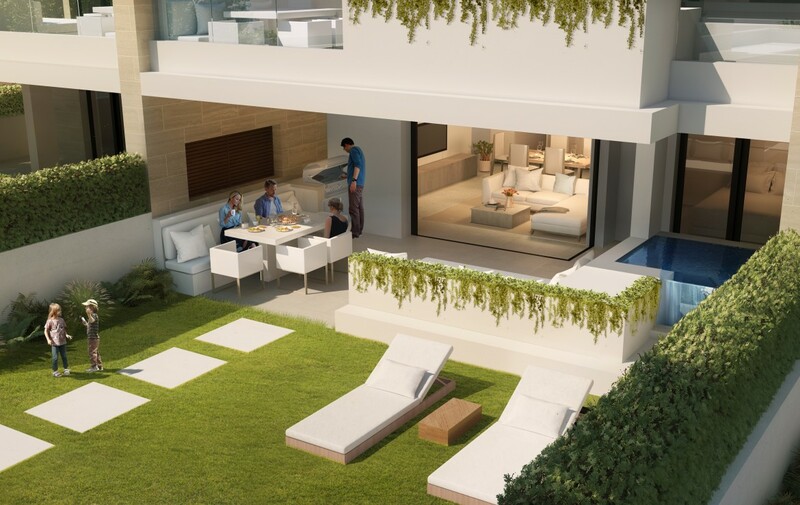 The open plan design flows from the kitchen to the living spaces and onto the large terraces. 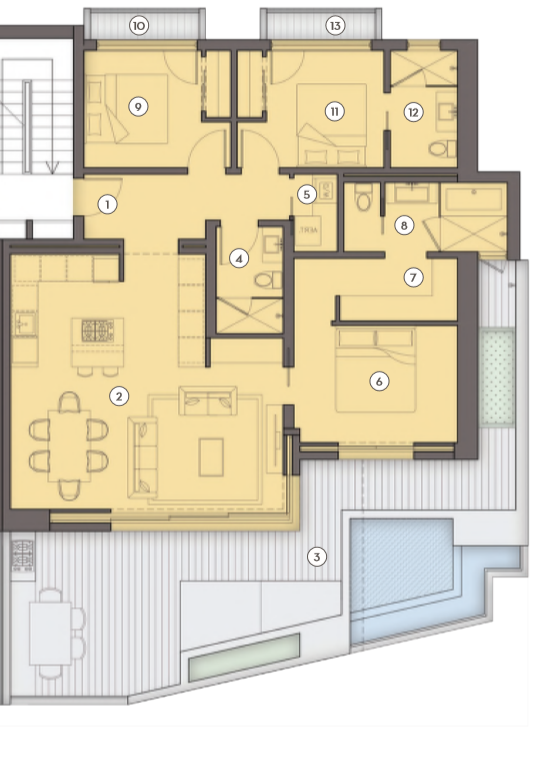 Each bedroom has it’s own en-suite bathroom as well as direct access to the terrace. This development is designed for ultimate relaxation and well-being which is why the communal areas are simply outstanding. 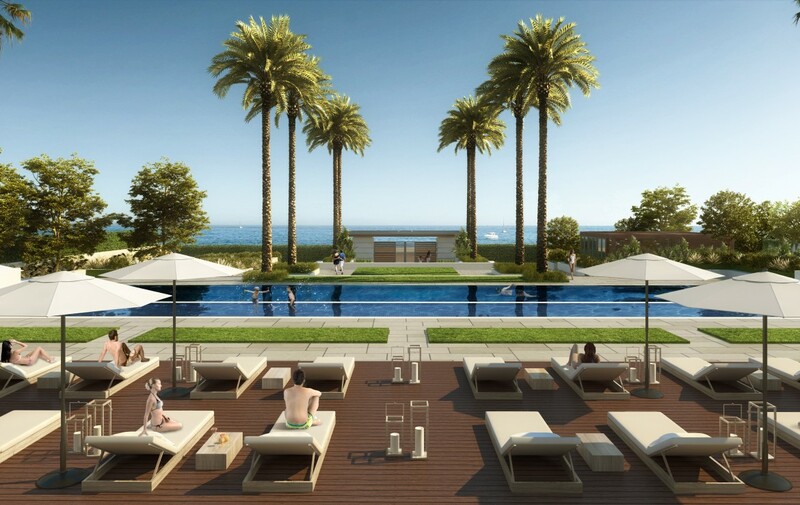 Take a plunge into the inﬁnity pool, soak up the sun on a lounger or Bali-style day bed, unwind by taking a dip in the hot tub, have a game of tennis or paddle tennis in the sports area, or hit the weights at the gym before treating yourself to a lavish meal at the barbecue area. 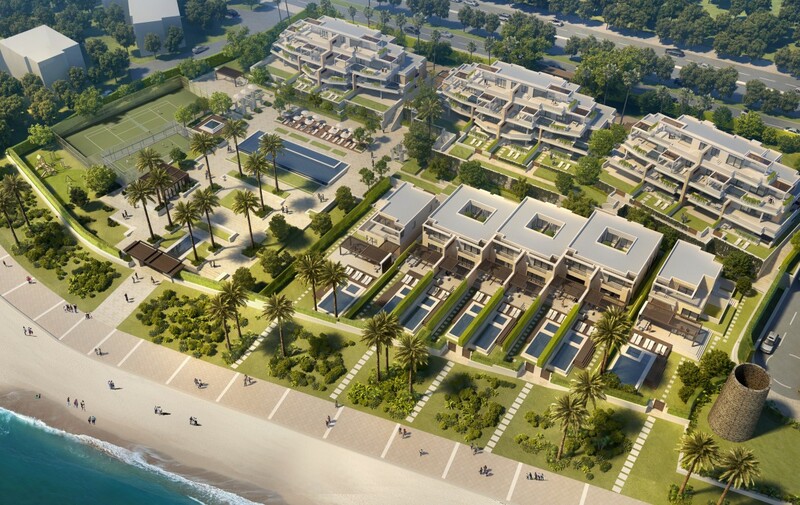 The New Golden Mile in Estepona offers 17 beaches with ﬁne sand and warm waters along 21 kilometres. Less than 5 minutes away by car, Estepona town is a beautiful combination of old a new; a 300 year old town centre with gastronomical restaurants lining it’s cobbled streets and a stunning port with luxury boats where you can dine on the freshest catch of the day watching the sunset. At Dreamlife Property we understand that buying a new home in a foreign county can be daunting. We have a team dedicated to ensure your home buying experience is a smooth and pleasurable one for you. Even after you have purchased your dream home we will be there to support you. 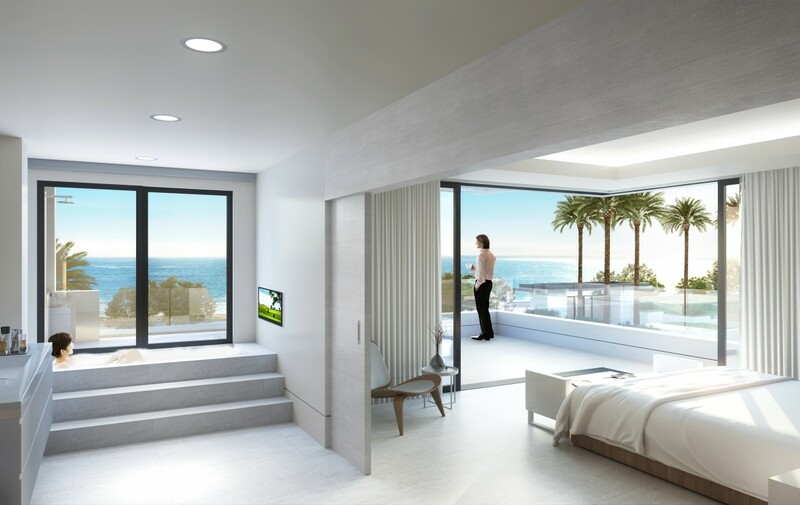 These are unique, modern beachfront apartments in the New Golden Mile, Estepona but if you are still looking for that something special, click here to browse more options.